If you are looking for an eye doctor in Scottsdale, AZ, Riviera Opticare Inc. is the place for you. Our team of optometrists are ready to serve you and your eye care needs. Below are some of the services we offer here at Riviera Opticare Inc. We offer a variety of services at both offices. Please call us to get information on additional services we provide. We offer comprehensive eye exams, whether you need a general eye exam, one to get fitted with eyeglasses or contact lenses. Call to schedule an appointment for an eye exam. Once you are fitted with eyeglasses, you can choose from our variety of designer frames. Choose a designer frame based on your likes, colors, and personality. Our staff are ready to help you with this! We also offer shooting glasses, fishing glasses, and cycling glasses to meet your sports needs and to protect your eyes from the elements while you are enjoying these activities. Come by one of our offices to see what we have to offer in terms of specialty glasses. We provide a variety of different types of contact lenses to meet your needs. We have contact lenses for keratoconus, astigmatism, bifocal, farsightedness, multifocal, and nearsightedness. We will perform a contact lens exam first to determine what type you will need. We also offer cosmetic lenses that change the color of your eye or correct eye irregularities. Please contact us for more information on what we have to offer concerning contact lenses. This list and these services are not all we offer. Please contact us or visit one of our offices for more information or if you have a concern that is not listed. 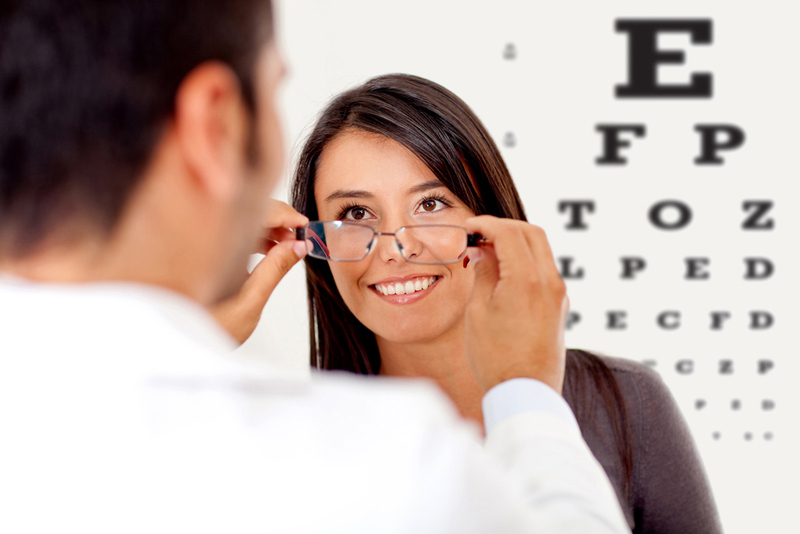 Our optometrists and staff would be happy to help you in any way we can. Come visit our eye doctor in Mesa or Scottsdale to get the eye services you need. You can also make an appointment with Riviera Opticare Inc. over the phone. You can reach our Mesa office at 480-827-9184 and our Scottsdale office at 480-991-6432.